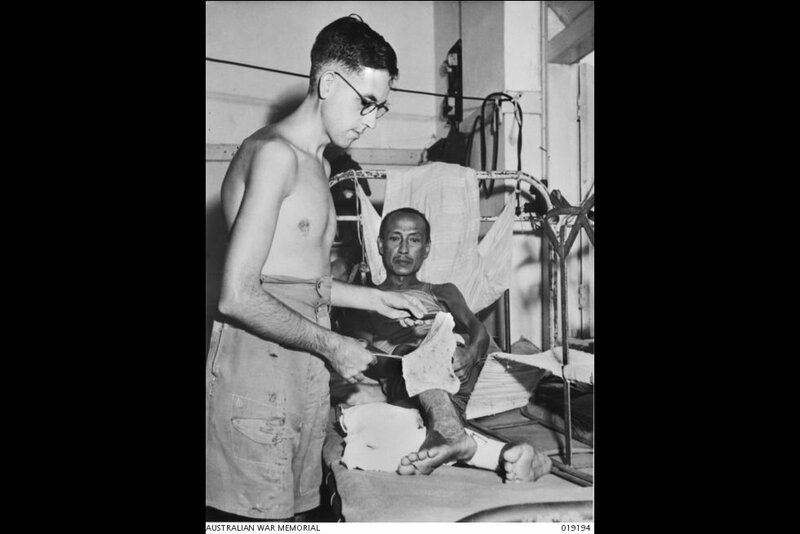 Private A.S. Jones, who works as a medical orderly in the Changi POW Camp, dressing a typical case of tropical ulcers, September 1945. Image courtesy of Australian Wawr Memorial. 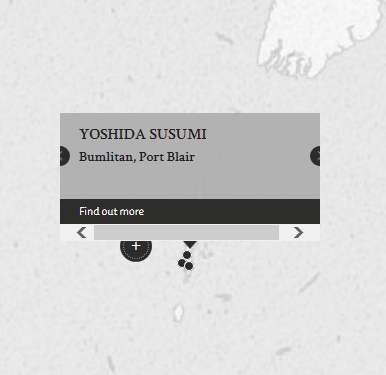 The defendant, Chief Petty Officer Yoshida Susumi, was an agricultural overseer in Bumblitan near Port Blair where the victim, Subaiya, a civilian, lived. On the day of the incident, Yoshida went to Subaiya’s house and demanded some eggs. On being told there were none, Yoshida proceeded to search through Subaiya's house, and found some paddy. Yoshida accused Subaiya of stealing the paddy, to which Subaiya denied. In response, Yoshida took Subaiya, his wife and children to his house and there tied him to a wooden beam and beat him into unconsciousness with a stick. After Subaiya regained consciousness, he was assisted home by his wife. However, the injuries sustained by Subaiya turned septic, and he subsequently died. In reaching its findings, the Court had given gave Yoshida the benefit of the doubt for two reasons: (i) Subaiya's death could not be proved to be caused solely by Yoshida's actions; and (ii) The timely disappearance, through Japanese action, of the wife of Subaiya. Yoshida, Susumi. Chief Petty Officer. From Japanese military. Guilty. Life imprisonment. Sentence reduced to 10 years' imprisonment. Vine, P. A. L. Captain. From British military. Solicitor. Tokunaga, Shoji. Senior Officer. Public Prosecutor of the Tokyo Court, Japan.